One of the most common WordPress SEO mistakes people make is failing to optimize their WordPress archive pages. When you use WordPress, there are several types of archive pages available to you: author archives, tag archives, date archives, and category archives. By default, search engines can access each one of these pages, and that’s the big mistake. Making more than one of these archive pages available for search engines can hurt your rankings. First, by feeding the engines all of the available archives, you potentially increase the amount of duplicate content on your site. With the recent Panda updates, Google has targeted sites that are full of low quality content (among other things), and sites with large amounts of duplicate content can be at risk. So, if you’re making all of your archives available to the engines, that same blurb appears on your /page/ navigation from your homepage, all four archive listing types, and on the actual single post page for that content. And that’s happening for each and every post on your blog. But duplicate content issues aside, there’s another reason you should be limiting the amount of archives you make available on your site – Internal linking power. Each webpage on the Internet has some amount of “power” and the “power” on the page is disbursed in part to the pages that it links to (both internally and externally). The more “power” a page has, the higher it should rank, all other things being equal. The more links you have on a page, the less “power” each link gets. So if you have 40 links on a page, in theory, they will each get 1/40 of the “power” that page has to disburse. If you have 80 links on the page, each one will get 1/80 of the “power” available for disbursement. So by showing every archive type available in your sidebar, you’re giving each individual archive type less power than you would if you only listed one. So now you know that you’re passing “power” to all the links that you link to on your blog and why it matters from a ranking perspective. For example, on my blog that focuses on all things BlackBerry, we have an entire category devoted to the BlackBerry application for Facebook. We link to that category with the words BlackBerry and Facebook. So, we’re telling the search engines that we feel the page we’re linking to is about those terms. So now we’re passing generic “power” as well as a “topic indicator,” and search engines know exactly what that page is all about. The category page then gains link “power” and some credit for being about “BlackBerry and Facebook” (which will hopefully help that category page rank better for terms relating to those words). The BlackBerry and Facebook category then has power and an indicated topic to pass on to the single posts listed within it (which will hopefully help those single post pages rank better for terms relating to those words). Unfortunately, if you’re using date based archives, then you’re telling the search engines that the power going to that page is on the topic of “June 2011” and therefore, the “topic indicator” that category page then has to pass down to the single posts is also “June 2011.” Same goes for Author Archives. I don’t know about you, but I’d rather tell the engines to pass “power” and “topic indicators” for the actual words I want to rank for rather than dates. This is why I said above you should only be using Category Archives or Tag Archives from an SEO perspective. Don’t link to date based archives at all. If you feel it’s vital to your users, then create an internal page that lists those archives and only link to that single page from the sidebar on each page (as opposed to linking to 63 monthly archive pages). Name your categories based on the words you’d ideally like them to rank for. Condense your categories. 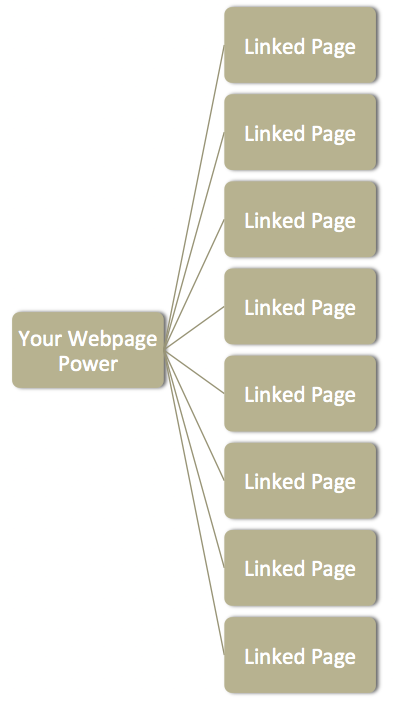 Remember that the less links you have on a page, the more “power” each one gets. 99% of bloggers have no reason to have 300 categories. I tend to use the rule of thumb that if I don’t plan to write at least ten posts on a topic, then it doesn’t need its own category. Create custom content for the top of all your category based archives. Luckily, Thesis has this built in too. This will allow you to add more unique content to help dilute the duplication your excerpts can cause. When you mention the topics of your categories in your individual blog posts, link the first instance of it to your category page to help give even more “power” and “topic indicators” to Google about the category page and mix it up when possible. How do you deal with archive pages? Leave a comment. About the author: Rae Hoffman-Dolan aka “Sugarrae” is an affiliate marketing veteran and an (extremely) occasional Houston SEO specializing in SEO Audits and link building strategies. She is also the author of the often controversial Sugarrae blog and the SVP of Marketing for Speedy Incorporation Service. You can connect with Rae via Twitter.